Thank goodness for Kraft! I have been dreading this letter from the moment I signed up for the Blogging from A to Z April Challenge. Quinoa is something I have yet to try. I keep looking for recipes that will inspire me to try this food one day. I think Kraft may have developed a quinoa dish I am willing to prepare and eat. 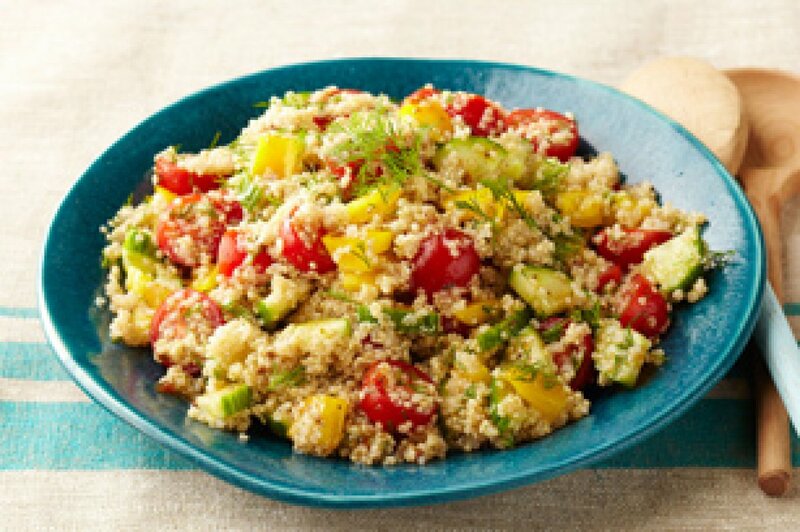 This Greek Quinoa Salad is bright, colorful, and begging to be gobbled up.